One of my favorite brands, Kate Spade, is celebrating it’s 20th anniversary this year! I can’t believe this forever youthful brand has been around that long already! To celebrate, Kate Spade has something special for you! But before that, I have to ask, is there anyone who isn’t familiar with Kate Spade here? If you aren’t, you must be living under a rock–a very dark, boring and void of anything charming rock! LOL! Just kidding. But seriously, you’re missing out! Look at all these prettiest little things! 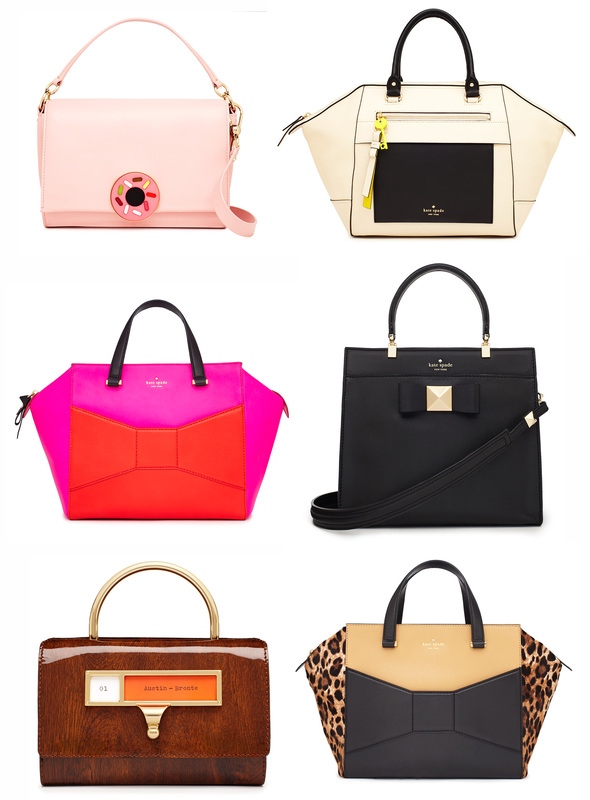 Isn’t Kate Spade‘s Fall 2013 collection just the cutest? It used its hometown, New York City, as inspiration–the architecture of the city itself: the soaring skyscrapers and halls of academia that make up the magnificent skyline; the chaos of taxi cabs, street signs and bright lights of the streets below where the action never stops. In this crazy town, anything goes! You can just see the energy of Manhattan translated into these fashionable pieces. From Andy Warhol’s Factory, and Studio 54 in the 70’s to leopard-print banquettes, and the thought of all the foxy glamourati dancing on the tables into the early hours of the morning dressed in their wispiest dresses, fur coats, and well-placed sparkle! This one is my favorite! How adorable is this clutch? To help tell the story of Fall 2013, Kate Spade New York also collaborated with the witty artist Craig Redman to create a girly version of his quirky-cool one-eyed character, Darcel Disappoints, as well as playful prints that perfectly capture the electricity of New York City. As I’ve mentioned, Kate Spade is celebrating its 20th year and they have a little something for you Kate Spade fans! 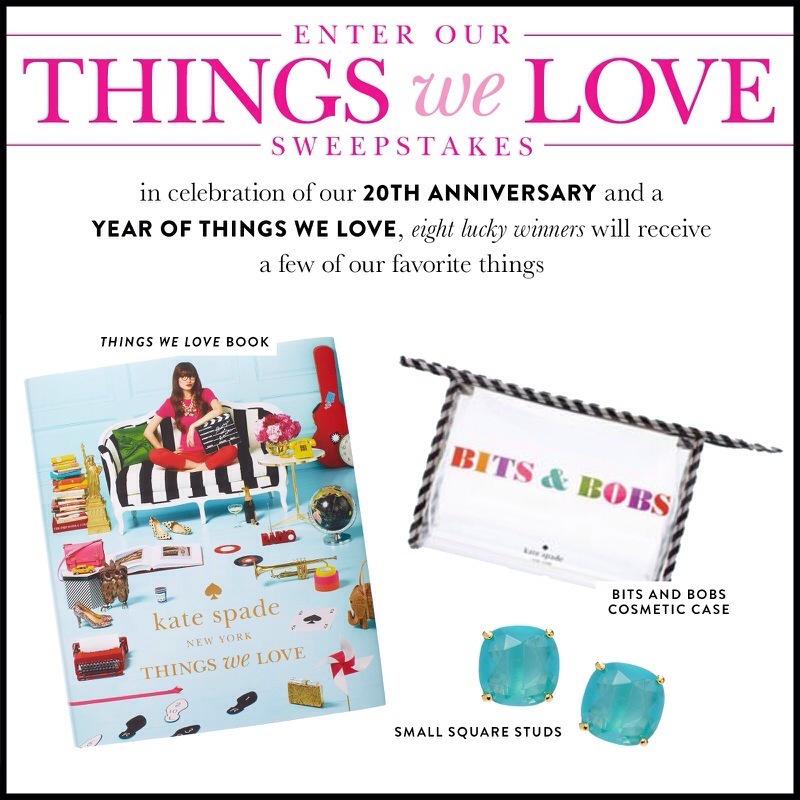 All you have to do is join Kate Spade‘s “Things We Love” sweepstakes where 8 lucky winners will receive a few of Kate Spade’s favorite things! These items are not for sale so you’re getting special edition items! The coffee table book, in particular, is my favorite. It’s just so visually yummy! I’ve actually made my own “Things I Love” moodboard to help you out just in case you’re a little confused about the concept. Basically, it’s just a collection of anything and everything that I love and that inspires me to do what I do. It doesn’t have to be tangible things. It can be emotions, concepts, ideals, values and more, mixed in with tangible things as well. I highly encourage you to join this contest/sweepstakes. Kate Spade is such an amazing brand so you shouldn’t let this opportunity pass! You just might be one of the lucky eight! That I’m not too sure! Awww sweet! :) Thank you! Crazy things for crazy girls !! Who says that autum is sad ? Never for me !! I love colours !! Right! Happy colors for autumn!